Everyone is welcome to our exhibition opening on Saturday, June 2nd, 2018 at 3 PM in Grusbeke Tower (Laboratooriumi 33)! The opening will feature a performance by the talented musical group Rondellus. You can also learn how to make your own calligraphy pen from a water reed – and then take it home so you can start practicing! 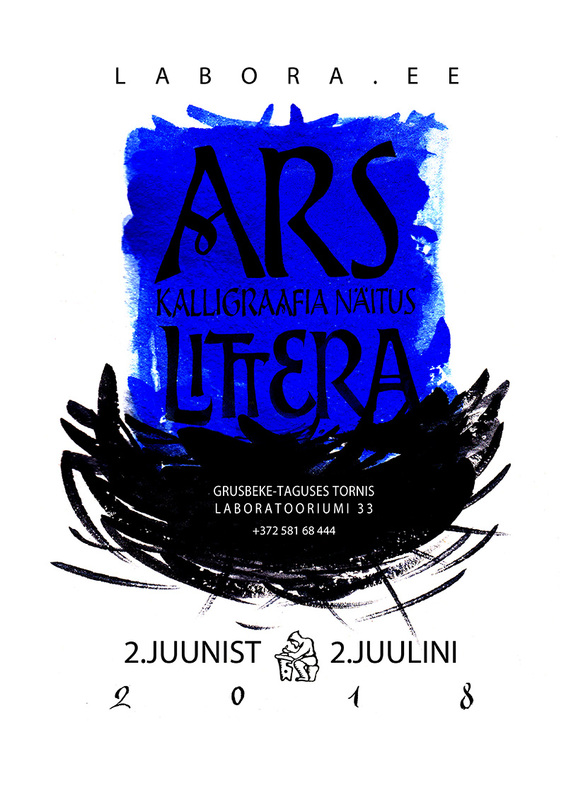 Ars Littera 2018 will display creative works by professional calligraphers and instructors – as well as by their students – at both the Tallinn and St. Petersburg Schools of Calligraphy. In addition to admiring beautiful examples of traditional European and Slavonic writing, visitors to this exhibit will get a chance to see calligraphy written in a variety of different languages and scripts penned by participants in our A Brush with Silence Museum Night event at Niguliste. Join us! For those of you who must miss the opening, you will still be able to visit our exhibit from Sunday, June 3rd until Monday, July 2nd, 2018 as Grusbeke Tower will be open every day from 12 Noon to 2 PM.